Managing your money can be hard. When you add a spouse or significant other into the mix it gets even more complicated! Money disputes happen with every couple. So this is not the kind of article that will tell you the statistics around divorce and money problems. 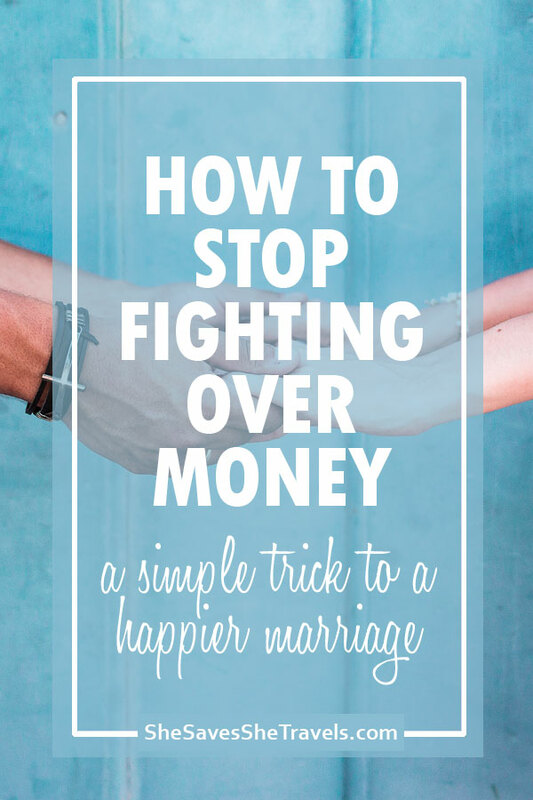 However this is the kind of article that will give you a simple trick that just might help you stop fighting over money so you can feel better about your finances as a couple. 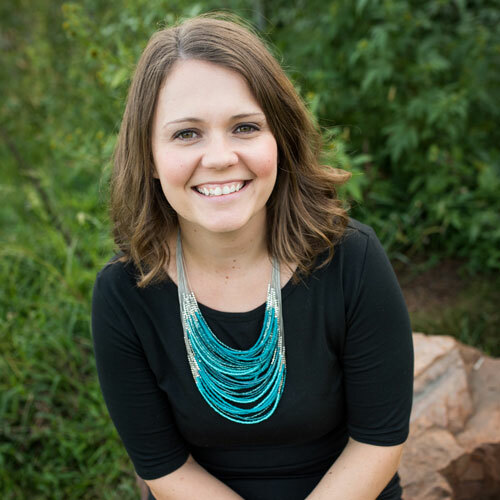 First, I want to say that managing money together with your spouse or significant other is perhaps one of the toughest parts of a relationship. (Side note: for the purposes of this article I’m going to use the term marriage when referring to any relationship, because that’s the situation I’m in. But, #youdoyou) Making money and spending money is very personal. Financial experts will agree that people make emotional decisions when it comes to their finances. 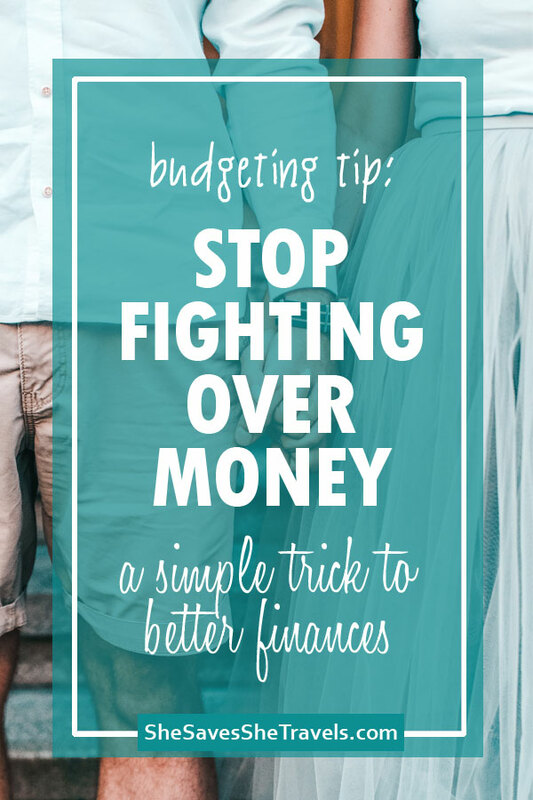 Because it’s so personal and emotional, fighting and anxiety over money can occur easily within a couple. Part of being in a marriage is having family goals and dreams. Yet you’re still two individuals with your own values, passions and interests. A healthy set of finances includes family and individual goals. So whether it’s hitting a beach once a year, building a DIY jet engine or buying a capsule wardrobe, you need to address your family and individual goals. My husband and I have been married just over 10 years. We’re pretty in tune with our finances and have regular money conversations. When we got married we merged all our finances together so his income and my income became one income. We also have just one set of expenses. By merging everything we work together to tackle money issues (hello student loans!) and money goals (buying a car with cash!). I truly feel like this works for people because it helps you bond as a couple and creates synergy within your finances. 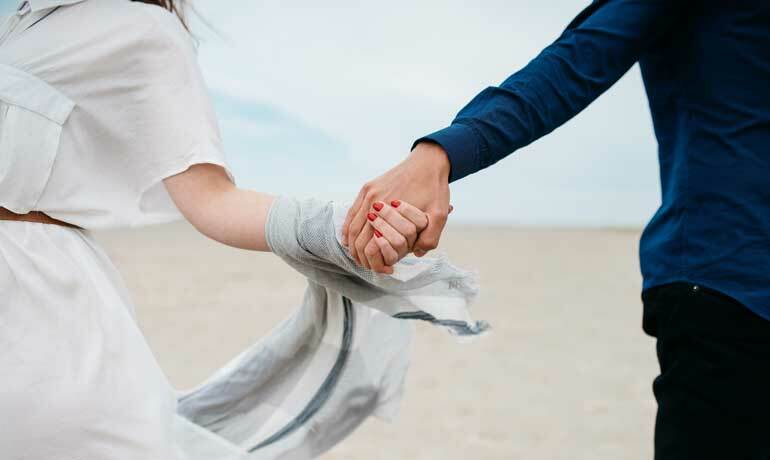 Outside of my own marriage, I’ve known others that separate their finances and it becomes a competition between who is doing what – or who isn’t. 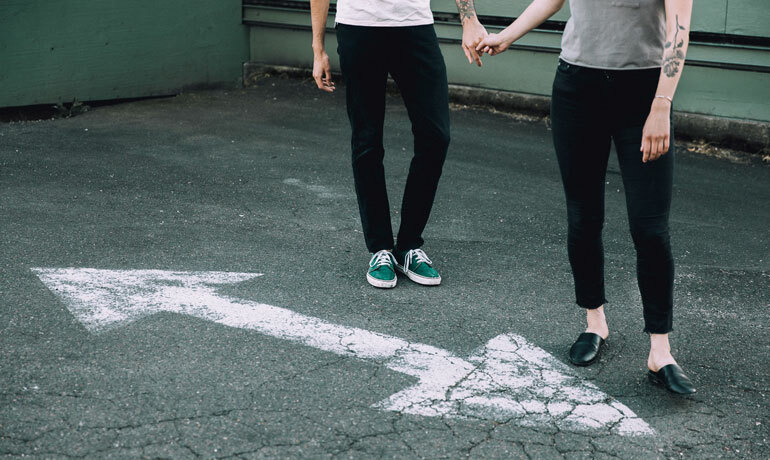 If you are truly one couple, one marriage, keeping separate accounts can create even more challenges and emotional disputes between the two of you. The most important thing is to find a method that works for you and communicate often. My husband and I budget consistently and talk through our finances frequently. Good communication around our finances is one of the keys to winning in marriage! Why am I telling you all about my story? Because it all leads into our method to stop fighting over money. Each month, my husband and I take our income and go through our expenses. At the end of our budget, after we’ve put away money for all the essentials plus saving, giving and travel (#priorities) we reserve two line items in our budget for perhaps, the most important things. A spending money line item for each of us! Let me explain that again. Our trick, that we learned early on in our marriage is this: give each person independent spending money. It’s sort of like an allowance for adults, only you get to decide as a couple how much it is. He wants to go out with his friends for happy hour? No problem. I want to buy a dress for our next vacation? Done. By giving ourselves spending money at the beginning of each month, we reduce fighting over the little stuff. And friends, it works! No judgement. I don’t care what he buys with his spending money. He doesn’t care what I buy with mine. Easy! Allows flexibility in your budget. Let’s say you’re passionate about a cause, and your partner doesn’t share that passion. You could take a portion (or all) of your spending money and donate to that cause, to support your passions. Independently save or spend your money. You’re probably a natural saver or spender, and your spouse could be the opposite. Manage your own spending money how you want to without the opinion of your spouse. 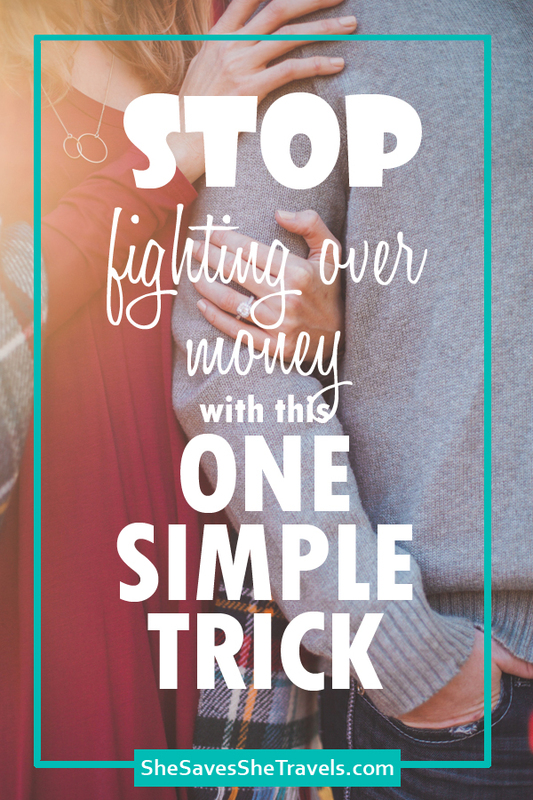 This is a solid trick to managing your money as a couple, but there are some things you’ll need to do to get to this point. Each month your expenses need to be less than your income. It will take real conversations and managing your finances together to make sure that you have enough money in your joint account to support independent spending money. Work through your finances on a regular basis to see where you’re at and how much you can give yourselves to spend. Your separate spending money could be given could be each week, each paycheck, or each month. As an example, let’s say it’s the beginning of your month and you’re working through your budget. After your all your expenses are accounted for, you have $500 left in your budget. 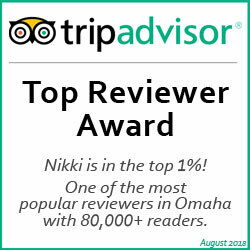 (First of all, that’s awesome!) Are you each going to get $250? Are you going to save a portion of that $500 for a joint goal (like your next vacation) and perhaps knock the allowance down to $100? Each month can be different based on your budget, but just make sure you agree on the amount of your independent spending money. This is a big one. Once you set your spending mount, you’ll need to stick to it. Be serious with each other and hold your commitment to stick within that budget. When you’re deciding on your amount make sure you take into account any upcoming events, hobbies, new items to buy, etc. Once you set your amount you’ll need to talk through what happens if one of you doesn’t stick to it and goes over your spending budget. It’s fun to get creative with this one. Think about something that neither of you likes to do and make that the result if you go over your spending money (cleaning the toilet comes to mind here 😉 ) Make sure you’re serious about it and stick to it to keep that trust. Be serious about your commitment to each other. You’ve given yourselves money to spend independently, so be respectful and try your hardest to stick to your spending allotment. But realize neither of you is perfect and it’s bound to happen at some point. Well friend I hope this trick is one that you’ll start implementing in your own life. Talk with your spouse (or share this article) and decide if this will help your financial situation. You both want to be happy and your finances play a big role in that. By giving yourself spending money you’ll free up the guilt around spending money. Money can be a powerful tool if you have a plan and the right intentions! So tell me below, do you use this method in your own finances? Will you start? Great tips! We do exactly the same with having independent money, and it definitely helps because we’re so different. I almost always spend mine by the end of the month and my husband nearly always saves his because he hardly ever wants to buy anything! Definitely helps stop any squabbling.